And the 41st Mill Valley Film Festival, whose far-flung screenings are held in three one-horse towns, is hard upon us. Mill Valley benefits from its timing in the festival year, and its location: it can cherry-pick from every festival held earlier in the year, and its proximity to Los Angeles (and the Bay Area’s high number of Academy members, i.e. Oscar voters) means that a number of directors and stars will appear on its stages. This year seems particularly well-programmed and enticing – at least partly because it becomes more and more difficult to see foreign films on a regular basis in the Bay Area. Here’s a look at the movies I can recommend from Telluride and Toronto, and the ones I’m looking forward to seeing in Mill Valley – and San Rafael, and Larkspur, those three charming one-horse towns — my own self. Mill Valley’s Opening Night offers a choice of films: GREEN BOOK (7 pm at the Sequoia, 7:30 pm at the Larkspur) and A PRIVATE WAR (7 pm at the Rafael, 7:45 at the Larkspur). I’ll be seeing A PRIVATE WAR, a based-on-a-true-story movie, about the dashing American war correspondent Marie Colvin, incarnated by the charming English actress Rosamund Pike, sporting an eyepatch and the weight of history. Pike and director Matthew Heineman, well-known documentarian – this is his first fiction film – will be in attendance. GREEN BOOK, directed by Peter Farrelly, starring Viggo Mortensen and Mahershala Ali, is another based-on-a-true-story tale of Italian tough guy chauffeuring well-educated effete jazz pianist Don Shirley on a musical tour through the Deep South in the 1960s. I saw GREEN BOOK in Toronto (where it won the prestigious and Oscar-prognosticating Audience Award, over such films as the new A STAR IS BORN and ROMA), and was hard-pressed not to think of it as DRIVING DR. DAISY. While I admired its acting, its predictable racial and ethnic stereotypes made me somewhat uncomfortable – although I’m sure that Nick Vallelonga, one of the film’s writers and producers, whose father Tony Lip was the real-life chauffeur, would tell me that was the way it was. Director Peter Farrelly, better-known for goofy comedies (DUMB AND DUMBER, THERE’S SOMETHING ABOUT MARY) will be in attendance, basking in the unexpected Oscar glow. 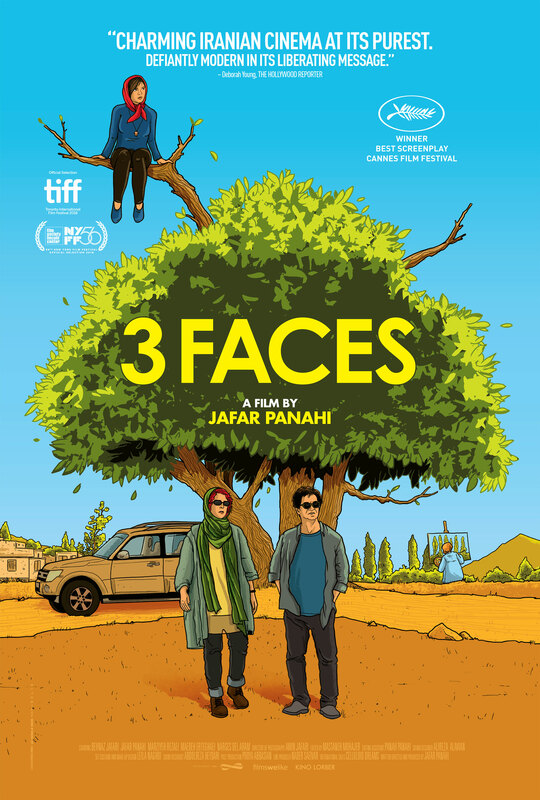 On Friday, October 5th, I can recommend 3 FACES (6:30 pm at the Rafael, repeated 8:15 pm Saturday October 6th at the Century Larkspur) , another perceptive film from the amazingly prolific Iranian auteur Jafar Panahi, all the more amazing because he’s been under house arrest for many years (and not supposed to make films). Panahi appears in the film, alongside famed actress, Behnaz Jafari, driving her on a quixotic journey to find out the truth about a startling video that a young aspiring actress sent her. And I’ll try to see WILD LIFE (, a family tale set in Montana in the 60s based on a Richard Ford novel, billed as one of Mill Valley’s SPOTLIGHT offerings, which means that first-time director Paul Dano will be onstage with star Carey Mulligan. It’s playing opposite COLD WAR (7 pm at the Rafael, repeated at 3 pm Monday October 8th at the Sequoia), another black-and-white movie from a favorite director, Pawel “IDA” Pawlikowski, who based the love story on that of his parents. COLD WAR won the Best Director prize in Cannes, and I managed to miss it both in Telluride and Toronto. Pawlikowski will be in attendance on October 5th for a Tribute. I’ll have a second chance to see it on Monday October 8th. But if I miss it then, I’ll be thrown back on its commercial release – and a (somewhat) dreaded non-festival audience. 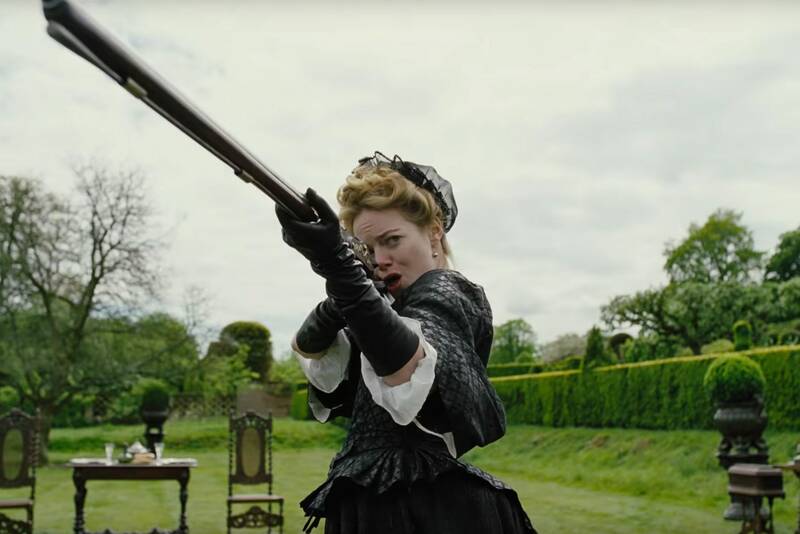 On Saturday October 6th, I can whole-heartedly recommend THE FAVOURITE (4:30 pm at the Sequoia, repeated 2:15 Wednesday October 10th at the Sequoia), which I approached with a fair bit of dread, having not accompanied dire ctor Yorgos Lanthimos all the way down the rabbit holes of THE LOBSTER and THE KILLING OF A SACRED DEER. But I found the shifting three-handed power play among Emma Stone, Rachel Weisz, and Olivia Coleman pure pleasure. As a friend wrote in the Telluride catalogue, it’s a mashup of BARRY LYNDON and ALL ABOUT EVE. 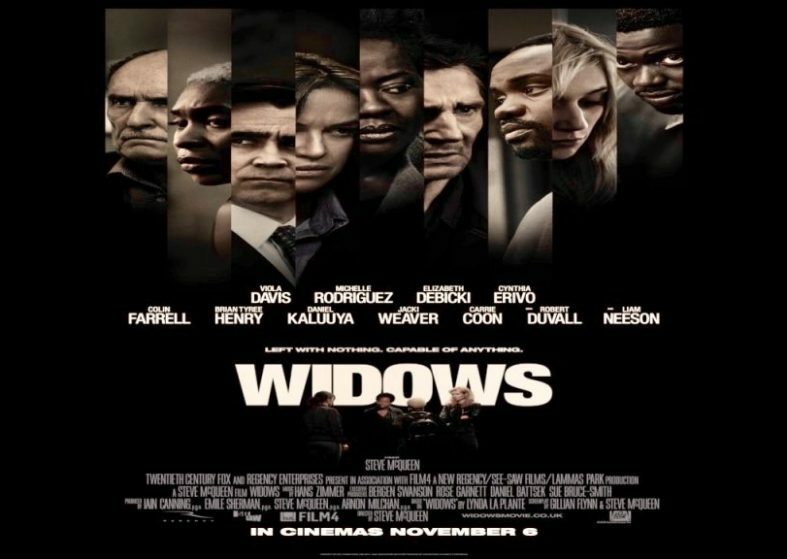 I also found Steve McQueen’s WIDOWS (7 pm, the Sequoia, repeated 2:15 pm Monday October 8th at the Rafael) to be pure pleasure – a kinetic, artful (though not arty) action heist film thriller highlighting the a cting and camaraderie of Viola Davis, Michelle Rodriguez, Cynthia Erico, and Elizabeth Debicki, alongside Liam Neeson, Colin Farrell, and the elusive Robert Duvall. 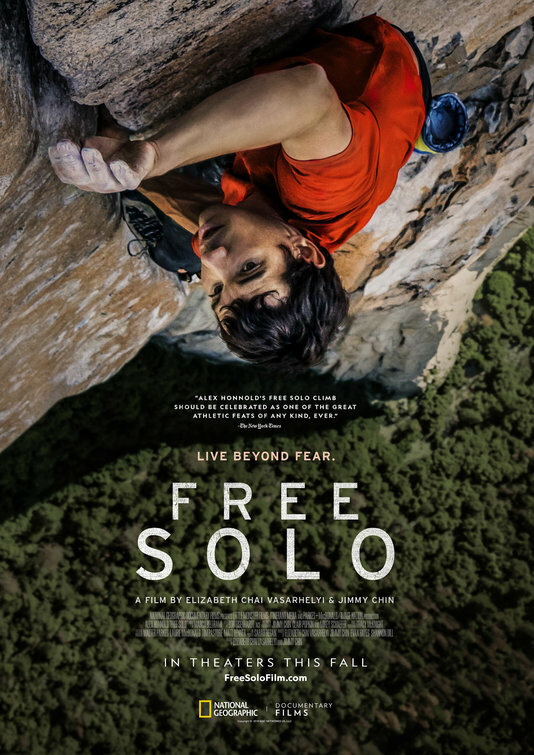 I managed to miss FREE SOLO (noon, the Rafael, repeated 11:30 am Monday October 8th at the Sequoia) in both Telluride – among the mountains, the more fool I! – and Toronto. This brilliantly shot and tense story about free climbing (without ropes or harness) Yosemite’s El Capitan for the first time begs to be seen on the big screen, with an audience that can both hold their breath and let it out. THE GREAT BUSTER: A CELEBRATION (2:30 pm at the Rafael, repeated 5 pm Sunday October 7th at the Rafael) is an entirely wonderful, loving, thoughtful documentary about Buster Keaton, beautifully crafted and narrated by Peter Bogdanovich – catnip for Keaton fans, and I’m sure anybody who doesn’t know Buster’s work will be converted into a fan by seeing this film. SHOPLIFTERS (5 pm at the Lark, repeated 3 pm Tuesday October 9th at the Rafael), which won the Palme d’Or for Hirozaku Kore-eda at the 2018 Cannes Film Festival, is also the Japanese entry for the Best Foreign Language film at the upcoming 91st Academy Awards. It’s about a poor but loving self-selected family that steals and schemes in order to stay together. first English-language film by director Felix van Groeningen, expected to be in attendance along with Chalamet and actress Amy Ryan, who plays Chalamet’s mother. Another movie high on my want-to-see list is 22 JULY (7:30 pm at the Rafael, repeated 8:45 pm Tuesday October 9th at the Sequoia), by Oscar-nominated director Paul Greengrass, investigating the aftermath of a horrific terrorist attack on a youth camp in Norway in 2011. 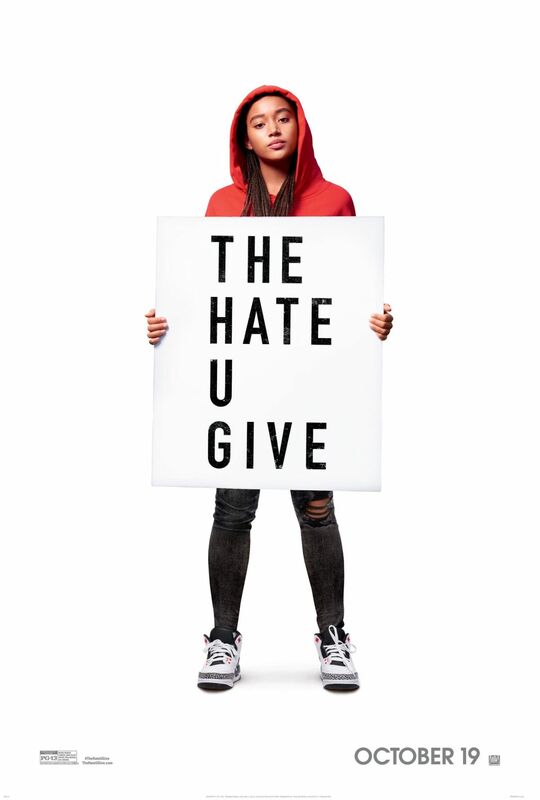 Sunday October 7th’s highlights include THE HATE U GIVE (5:30 pm at the Sequoia, repeated 2 pm Thursday Oct ober 11th at the Rafael) another SPOTLIGHT film, with its young star Amandla Stenberg and director George Tillman Jr. in attendance. Stenberg plays a young black woman who acts one way with her family and another at her largely white private school. When she witnesses the shooting of a friend by a white policeman, her roles collide. 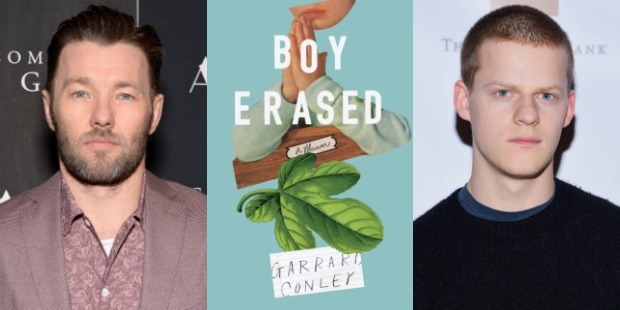 Directly afterwards is another SPOTLIGHT young adult film, BOY ERASED (6 pm at the Sequoia, repeated 3 pm October 9th at the Sequoia), about a boy (Lucas Hedges) sent to a gay conversion camp by his parents (Nicole Kidman and Russell Crowe). Director Joel Edgerton will appear with the film. 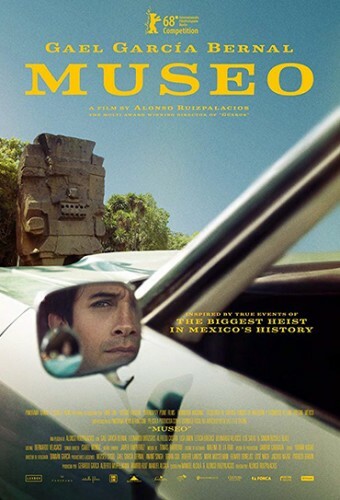 I’m tempted also by the unseen MUSEO (2 pm at the Rafael, repeated 8:30 pm Monday October 8 at the Lark), a Mexican heist thriller that won the Best Screenplay award at this year’s Berlinale, starring Gael Garcia Bernal and Leonardo Ortizgris as the boys behind the 1985 theft of 100 rare artifacts from Mexico City’s famed Museum of Anthropology. 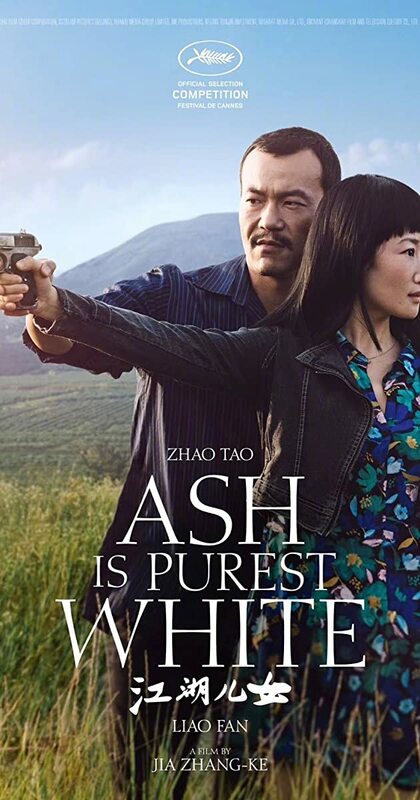 And also by famed Chinese director Jia Zhangke’s ASH IS PUREST WHITE (7:30 pm at the Century Larkspur, repeated Sunday October 14th at 11 am at the Sequoia), about a gangster’s girlfriend who takes the 5-year fall for her boyfriend on a gun charge – and finds the world much changed on her exit from prison. Monday October 8th features the festival’s “Centerpiece” film, Alfonso Cuaron’s ROMA, named for the Mexico City neighborhood in which the largely autobiographical story takes place – and also perhaps an allusion to the black-and-white Neorealistic style of the movie. ROMA, which won the Golden Lion in Venice, is also the Mexican entry for the Best Foreign Language film at the 91st Academy Awards. It’s a dreamy reminiscence about growing up with a loving indigenous nanny who holds the family together while the parents are breaking up, despite her own problems. On Tuesday, October 9th, THE FRONT RUNNER, one of my favorite films at Telluride, debuts at 6 pm at the Sequoia (repeated 11:15 am on Wednesday, October 10th, at the Sequoia). I rarely prognosticate about awards shows – and I sympathize with my friends who are forced to write about such things 24/7, it seems, 12 months a year. 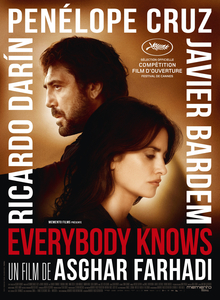 But after seeing Jason Reitman’s film about Gary Hart losing the Democratic nomination for President because of adultery (it was a simpler time), I said “If this film doesn’t win the SAG Best Ensemble award, I’ll be very surprised.” Because there are half-a-dozen actors I know and love that have never been better (including Vera Farmiga and J.K. Simmons), and more than that number who I’ve never seen before who are equally amazing – and they all mesh like they’re part of a repertory troupE. Reitman will be present at Tuesday’s screening. Next up: Part II, Wednesday the 10th through Sunday the 14th. FOR THE COMPLETE FESTIVAL FILM LISTINGS OR THE SCHEDULE DAY-BY-DAY . SEE EAT MY SHORTS TO WATCH TRAILERS FOR ALL THE FILMS DISCUSSED ABOVE. Meredith Brody, a graduate of both the Paris Cordon Bleu cooking school and USC film school, has been the restaurant critic for, among others, the Village Voice, LA Weekly, and SF Weekly, and has written for countless film magazines and websites including Cahiers du Cinema, Film Comment, and Indiewire. Her writings on books, theater, television, and travel have appeared in the New York Times, the Los Angeles Times, and Interview. She also contributes an occasional column to EatDrinkFilms called “Meals with Meredith,” where she talks about food and film with filmmakers at restaurants in northern California, writes about vintage cocktails and where she eats during film festivals at the Castro Theatre in San Francisco. Some of her pieces are found here and here.